A very inspirational story of a women from Pokhara who is driving tempo since long time and she don't have a license. 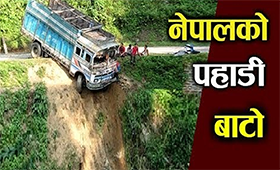 She is working hard by driving tempo and delivering goods in her tempo and she is earning very good staying at Nepal and driving Tempo without any license. She shares about the struggle during her initial period and how she managed to work hard for long time to earn money.